"The musicianship is top notch"
"They are beautifully crafted songs, sung with feeling and subtlety and with lyrics full of honesty." "Beautiful and honest, this album evokes strong emotions"
"probably his best album... one hell of an accomplishment given the circumstances in which it was created." "With this album, it's time he stood in the spotlight too"
"Afraid of Ghosts is a record that you can connect to"
"Butch Walker is a man with a rare gift: he has an exquisite ear for melody "
"Who knows what the future holds for Walker, but we know we can’t wait to see what other tricks he has up his sleeve." 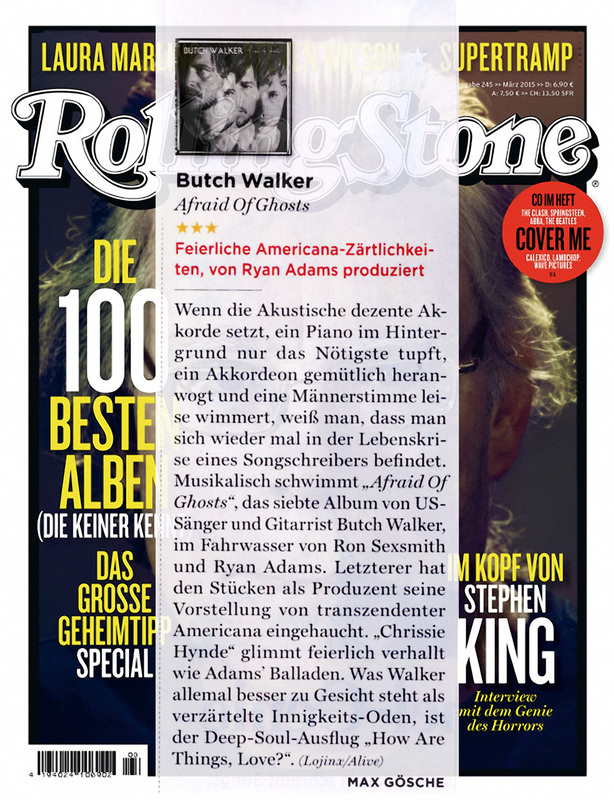 "I can’t recommend Butch Walker's seventh studio album highly enough!" "... the ghosts are most definitely Walker’s and they haunt his songs. He makes their presence clear from the first track to the end and the press play is a plunge into something deeper. " 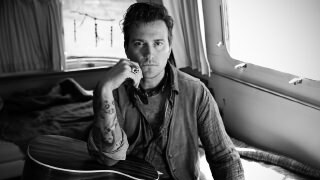 "If people bought albums anymore every home would have one of these: as it is, Butch Walker may have to make do with the critical acclaim of a record that will, no doubt, be regarded as the zenith of his career." "shows both skill and tenderness"